Dress the Part | I can’t give you the job, but I can help you look the part without breaking the bank. Dressing the part for a fashion industry job interview requires attention to detail. Whatever your budget, these suggestions will demonstrate your creativity (this is the fashion industry after all) and express your personality. Today we’re looking at accessories and imaginative ideas to inspire your fashion job interview outfit. ASOS Stylist Gamze recommends: “add unique touches to your outfit, they might become a talking point in the interview.” (Want more expert industry advice?) This doesn’t have to be limited to your clothing: try tying your favourite silk scarf in a bow around the strap – it’ll show you have an eye for detail. Talking of bows, consider trading a normal necklace for a chiffon bow. Saint Laurent showcased it on the S/S 2013 catwalk, so replicating the look will demonstrate your fashion awareness. Dress the part with a Saint Laurent original for £215 (ouch) OR (phew!) replicate the look courtesy of a haberdashery. I picked up 1.5m (1” thick) of lace for £1.10 and that’s all you need to recreate this designer look on a budget. The job is all but in the bag – but what bag? Last week we considered a few (take a look) and you’ll notice they’re relatively small. What do you really need to take to an interview? Being streamlined looks professional and if they ask for a pen you won’t have to rummage among four lipsticks, six receipts and a rogue fork. 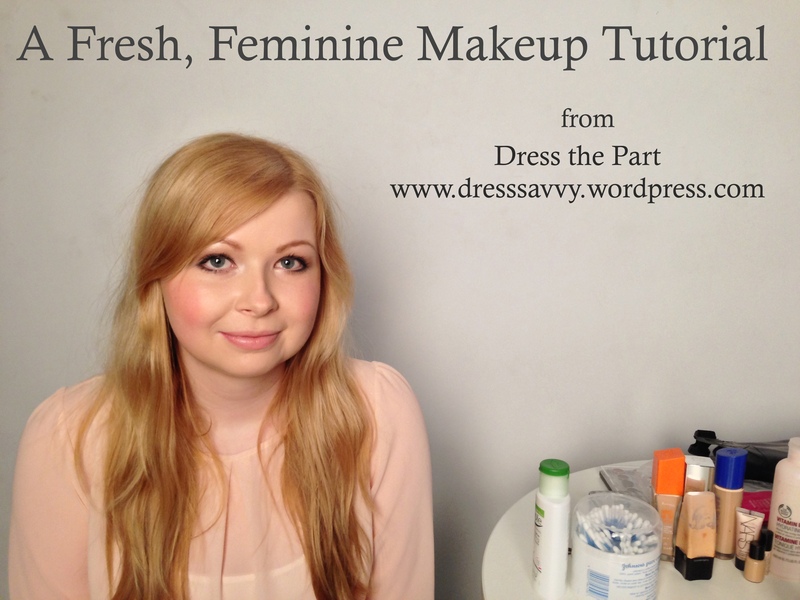 Next week makeup artist Grace Revington will be providing a beauty tutorial to help you achieve a professional pretty, interview look. Wondering what to wear for a fashion industry job interview? Dress the Part has spoken to industry insiders to establish what they’re expecting potential employees to wear to interview. As we pitch ourselves to one of the most creative, competitive industries should we be showcasing our fashion credentials? Or play it safe? Heaven forbid one should look as though they tried too hard, but even Coco Chanel recognised: “Dress shabbily and they remember the dress; dress impeccably and they remember the woman,” and so the battle for a happy medium begins. Clothing aside, both women agreed: put your best foot forward in heels. While sky high heels are less than practical: “Even a small heel will give you a confidence boost and have you walking tall.” Gamze explained, helping to establish the ideal outfit from head to toe. Next week Dress the Part will expand on these ideas, with outfit suggestions to suit any body shape or budget, as well as more expert tips from our industry insiders. Stylist Gamez suggests a bold print to stand out from the crowd. Opt for bold, confident colours. 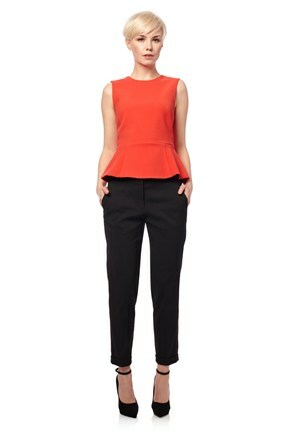 HR specialist Victoria recommends dressing the part in sharp, smart tailoring.